The largest spill occurred Jan. 12, when a faulty valve at a Sonoma County Water Agency treatment plant caused sewage to run backward in a pipeline that handles waste from homes and businesses in the Sonoma Valley. That 2.2 million-gallon spill happened amid a separate series of incidents in which heavy rain overwhelmed the capacity of sanitary sewers, causing another 500,000 gallons of foul water to gush into local streets and creeks. Officials with the Sonoma County Water Agency say they're planning to spend millions of dollars to inspect, repair or replace aging infrastructure to prevent similar capacity problems in the future. And they face a deadline: the San Francisco Bay Regional Water Quality Control Board says the county agency must make a series of improvements by 2024, after the district repeatedly experienced capacity-related sewage spills during wet weather. In June 2015, the state imposed a cease-and-desist order mandating the changes. Since then, there have been more than 60 sanitary sewer overflows at the local district that have led to the release of 1.37 million gallons, according to data from the board. Environmental advocates say the episodes show the agency needs to accelerate its efforts to prevent releases into ecologically sensitive areas. "A well-maintained system shouldn't have that kind of volume getting into the environment," said Sejal Choksi-Chugh, executive director of San Francisco Baykeeper. The water agency says the 2.2 million gallons of sewage released Jan. 12 from the Sonoma Valley County Sanitation District treatment plant flowed into Schell Slough, a wetland near the community of Schellville and just south of Highway 12. 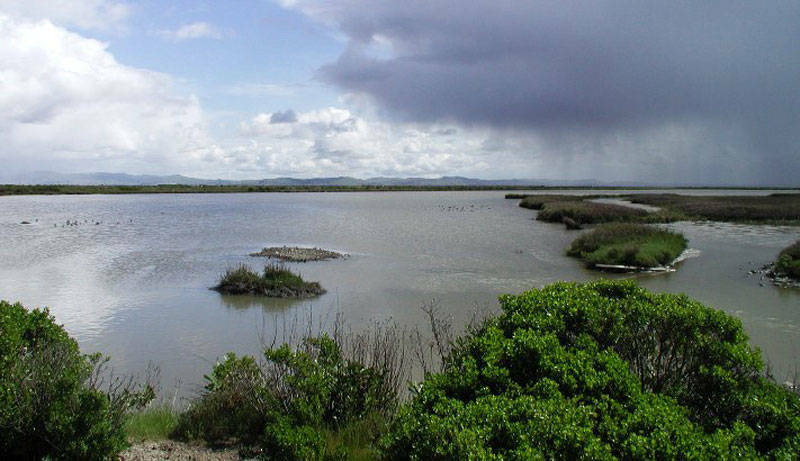 From there, the effluent snaked through a series of sloughs before finally dumping into the waters of the San Pablo Bay National Wildlife Refuge. "We have not experienced, at least in my memory in the recent past, a spill or unauthorized discharge of this size," said Pamela Jeane, a Sonoma County Water Agency assistant general manager. "This is very unusual and something that we, of course, don't like to see happen." In a report to the San Francisco Bay Regional Quality Control Board on Thursday, the water agency said the problem first came to light when a staff member noticed a flow meter on a 12-inch sewage pipeline running backwards. Ryan Kirchner, operations coordinator at the county water agency, said staff at the treatment plant discovered a malfunctioning valve, stopped the flow 15 minutes later and devised a way to block further releases. But the district was not able to recover any of the sewage after it spilled. "Due to the amount (of) water in the slough, site location, and slough water quality, it was physically impossible to recover any of the treatment plant unauthorized discharge," Kirchner said in the report to state regulators. The report added that in the hours after the release, the plant's staff did not observe foam, odors or toilet paper in the water and saw no evidence of dead or injured animals. But Baykeeper's Choksi-Chugh said there's a possibility that the spill caused ecological damage to the nearby wildlife refuge. "This a really bad problem. You should not have this much raw sewage in the aquatic environment," Choksi-Chugh said in an interview. "When raw sewage that contains bacteria and viruses and pathogens comes in contact with wildlife, it can make the birds sick, it can make the fish sick, it can also make people sick." The Jan. 12 spill came amid a series of spills elsewhere in the Sonoma Valley that sent untreated sewage into nearby creeks. Sonoma water agency officials say occasionally heavy rain that started falling Jan. 5 led to "system overflows" that led to sanitary sewer spills totaling close to 500,000 gallons. The largest of those releases took place at the Rancho Vista Mobile Home Park in the community of Agua Caliente, where about 325,000 gallons of sewage flowed from a manhole over a period of six hours on the night of Jan. 6. A second incident that occurred nearby at the same time involved an overflow of 112,000 gallons. Both spills sent sewage into storm sewers that empty into Sonoma Creek. 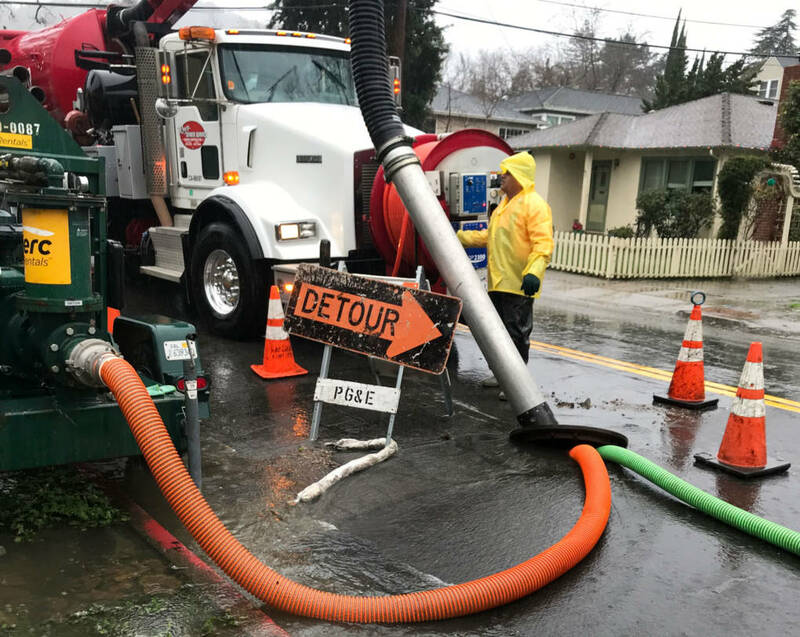 A storm on Jan. 16 dumped 2 to 3 inches of rain on the North Bay and led to another round of sewage overflows totaling more than 50,000 gallons. The spills included rain and stormwater mixed with sewage that present health and ecological risks. District officials say that during the stormy weather, the Sonoma Valley wastewater treatment plant was processing about 20 million gallons of effluent a day -- about 10 times more than flows during dry conditions. They say that's mostly because of leaky infrastructure. "The increased flows are attributed to inflow and infiltration, which allows groundwater and storm water to enter leaky sewer pipelines, manhole covers and private sewer laterals," said Ann DuBay, an agency spokeswoman, in an email. The eight spills came several years after the water control board ordered Sonoma County to increase its capacity. If the county had already put in place those changes, like installing larger sewer lines and replacing manholes, the recent storm-related spills most likely would not have happened, according to Bill Johnson, who heads a division of the San Francisco Bay Regional Water Quality Control Board that focuses on enforcement and pollution reduction. "We would love it if we could have made those improvements happen overnight," Johnson said. "But it takes a while to get the funding and do the engineering and put the stuff into place." Baykeeper's Choksi-Chugh said local water districts like Sonoma's need to move faster to prevent future big releases. "We have these spills that happen every single rainy season but really they are preventable," Choksi-Chugh said. "It has raised a red flag for us." The Sonoma Valley County Sanitation District is investing in several projects aimed at preventing more stormwater spills, according to DuBay. For example, the district plans to spend $6 million on a project to replace 1.8 miles of pipeline along Highway 12, she said. Along with replacing aging pipelines, the district is increasing sewer inspections and repairs. The agency has also invested in "smart" manhole covers in some locations that show when wastewater levels are rising. "That gives us a head start, but at some point, the system simply becomes overwhelmed with inflow from rainwater, and that's when we get overflows," DuBay said.